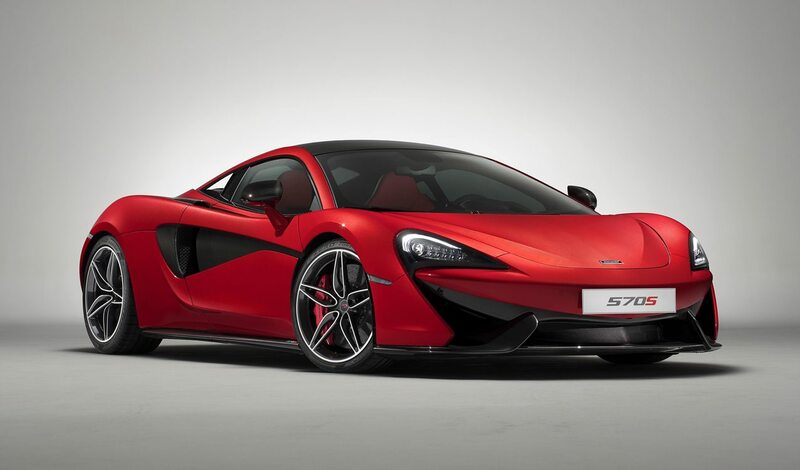 Today, McLaren announced five exclusive 570S Design Editions that take the brand’s customization to a whole new level. The example described in the press release is Design Edition 1. This edition has an exterior that has a Vermillion Red finish, five-spoke wheels with a diamond-cut finish, Stealth exhaust and red brake calipers. Inside is Carbon Black Alcantara, apex Red Nappa Leather seats, Jet Black Nappa Leather upper fascia, Apex Red Nappa Leather lower fascia, Slate Grey stitching, two-tone steering wheel and a branded leather sill finisher. However, if clients want to make their Design Edition even more customized, they are free to make any other choices and can add their own carbon fiber options. The other body colors of the Designed Editions include Onyx Black, Storm Grey, Ventura Orange and Silica White.